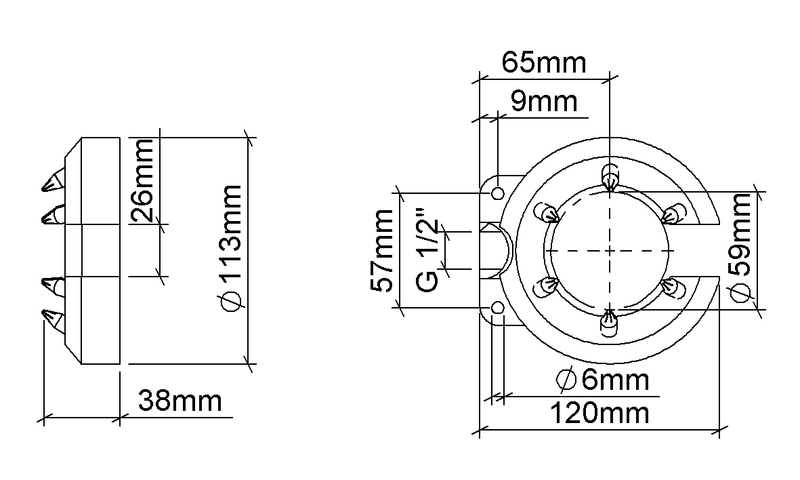 SILVENT 453: the smallest version of Silvent’s doughnut nozzles with just an inner ring of nozzles. This is our most commonly used type of doughnut nozzle. Finding the blowing pattern that is most suitable for the majority of blow-off processes is the result of years of experience with previous generations of doughnut nozzles. These nozzles are designed for continuous production and the cleaning or drying of cables, sections, pipes, hoses etc. 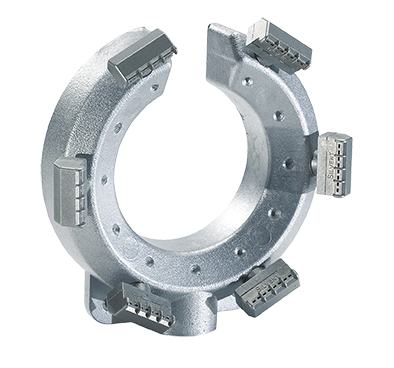 The SILVENT 453 allows problem-free insertion and removal of material with diameters of 5 mm to 25 mm (0.2”-1.0”). 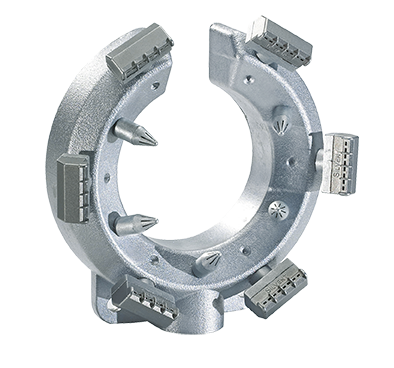 There are attachment lugs for easy and safe mounting.